he 2018 Virginia Topology Conference will have a focus on new methods in the study of smooth topology of 4-dimensional manifolds, recent developments in Heegaard Floer theory, gauge theory, and related invariants, and the interactions between these fields. Joined together with the Math Club, students learned about various opportunities and paths they can take related to math. Whether you are interested in going to graduate school or have an interest in industrial work, the panel guests had many tips to help you start looking for internships. 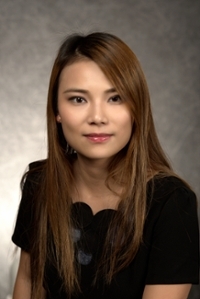 We had the opportunity to have lunch with Jing Wang, Assistant Professor of Mathematics at Purdue University, and asked her a variety of questions from how the transition was when she first moved here to how she was sure she wanted to study probability. We discussed what influenced her to return to Purdue University and her opinion on the representation of female faculty withing her department. She also explained how a strong relationship with her adviser helped her figure out the topic of study she wanted to pursue. Department of Mathematics and Institute of Mathematical Science hold the Workshop on Representation Theory, Combinatorics, and Geometry on October 19-21, 2018. The workshop precedes the Virginia Mathematics Lectures by Andrei Okounkov (October 22-24, 2018). A one day conference featuring plenary talks, student talks, poster session, a career and mentoring panel, AWM Student Chapter discussion, and tutorials at all levels.